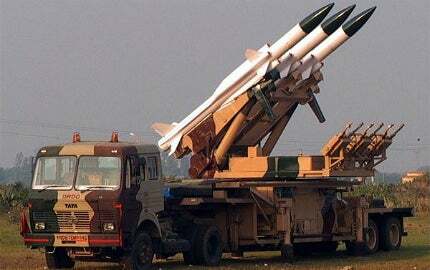 The Akash missile is claimed to be more accurate than the MIM-104 Patriot due to its ramjet propulsion technology. The Akash SAM will replace the Russian 2K12 Kub SAM in service with the Indian Army. The Akash missile being launched from a T-72 tank chassis. The antenna mast group system of the Patriot SAM. 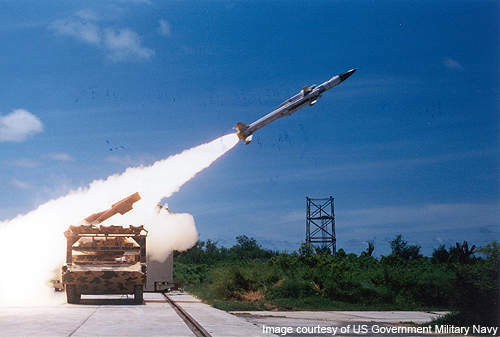 Breaking News: India successfully test-fired its indigenously-developed surface-to-air missile, Akash, from the Integrated Test Range (ITR) at Chandipur, Orissa, India on 24th May 2012. The Akash (sky) is an all-weather medium-range surface-to-air missile (SAM) system developed in India. It provides multidirectional and multitarget area defence. The missile system was indigenously developed as part of the integrated guided-missile development programme (IGMDP). In operation from 1983 to 2007, the programme developed a range of missiles, including the Nag, Agni and Trishul missiles and the Prithvi ballistic missile. 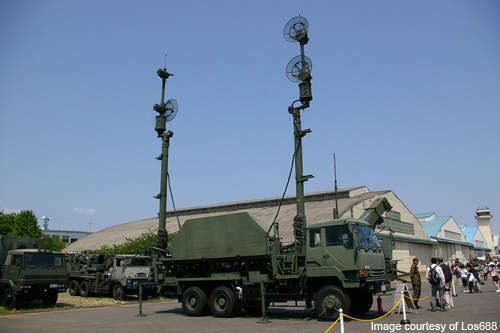 In 2008, the Indian Air Force (IAF) introduced its indigenous SAM system after nine successful field trials. Some modifications to the Akash SAM, such as the launch platform, were made to the army version to meet mobility and gradeability requirements. 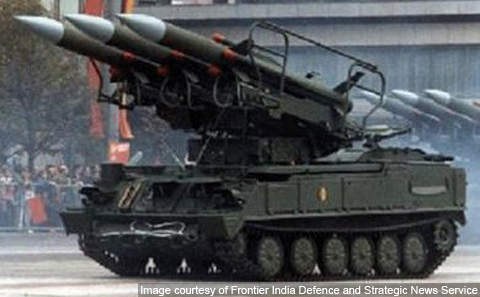 In June 2010, the Defence Acquisition Council (DAC) of India ordered Rs125bn ($2.8bn) of the army version Akash missile system for induction into the Indian Army. The Akash SAM was developed to replace the Russian 2K12 Kub (SA-6 Gainful) missile system, currently in service. Development of the Akash missile system began in the 1980s, involving the work of 300 public and private companies. The flight tests were initiated in 1990 and the development flights continued till 1997. Several user trials of the missile system were conducted and its ballistic missile role was proven successful. "The Akash missile can fly at a speed of up to Mach 2.5." The Akash SAM system – including the associated radars, missile and systems – took about 20 years to develop, at an investment of about $120m. Other countries that have developed the multitarget handling surface-to-air missile systems are the US, some EU countries, Russia, Israel and Japan. The Akash missile can be launched from static or mobile platforms, such as battle tanks, providing flexible deployment. The SAM can handle multitarget and destroy manoeuvring targets such as unmanned aerial vehicles (UAV), fighter aircraft, cruise missiles and missiles launched from helicopters. The Akash SAM system defends vulnerable areas in all weather conditions against medium-range air targets being attacked from low, medium and high altitudes. It can operate autonomously, and engage and neutralise different aerial targets simultaneously. The kill probability of the Akash is 88% for the first and 99% for the second missile on a target. 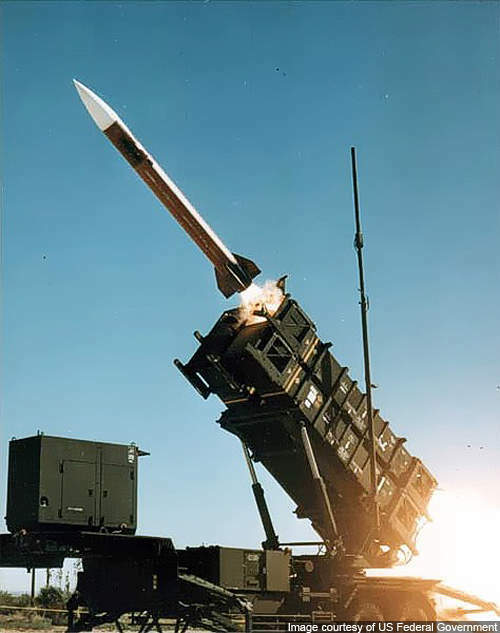 The Akash SAM is claimed to be more economical and accurate than the MIM-104 Patriot, operated by several nations including the US, due to its solid-fuel technology. The Akash can intercept from a range of 30km and provide air defence missile coverage of 2,000km². The Akash SAM system consists of an integral ramjet propulsion, a switchable guidance antenna system, a command guidance unit, an onboard power supply, a system arming and detonation mechanism, digital autopilot, radars and C4I centres. "The Akash SAM was developed to replace the Russian 2K12 Kub." The most important element of the Akash SAM system battery is its high-power, multi-function Rajendra phased-array radar. The 3D passive electronically scanned array Rajendra radar (PESA) can electronically scan and guide the missile towards targets. It provides information on the range, azimuth and height of a flying target. The Akash battery has four Rajendra radars and four launchers interlinked together and controlled by the group control centre (GCC). Each launcher, equipped with three missiles, is controlled by one radar that can track 16 targets. The Rajendra radar can therefore track 64 targets and simultaneously guide 12 Akash missiles. The PESA antenna array has a swivel of 360° on a rotating platform. The Rajendra radar can detect up to a radius of 80km and can engage at a range of 60km at an altitude of 8km. The communication links, command and control nodes, sensors and self-propelled launchers of the entire Akash SAM system are IT-integrated. The weapons system uses radar vehicles and T-72 tank chassis for launchers. The Akash missile has a launch weight of 720kg and measures 5.8m in length, 350mm diameter and 1,105mm wingspan. The missile can fly at a speed of up to Mach 2.5 and has a height ceiling of 18km. The 60kg payload can use prefabricated tungsten alloy cubes warheads or a nuclear warhead. The prefragmented warhead of the Akash missile is coupled with a digital proximity fuse. The detonation sequence is controlled by safety arming and a detonation mechanism. The missile is also integrated with a self-destructive device. Unlike the Patriot missile, Akash uses a ramjet propulsion system which gives it thrust to intercept the target at supersonic speed without any speed deceleration. "The Akash missile took about 20 years to develop." The terminal guidance system of the missile enables its working through electronic countermeasures. The Rajendra radar completely guides the Akash missile, which increases its efficacy against electronic jamming of aircraft. The Defence Research and Development Organisation (DRDO) of India developed and integrated the Akash SAM, in partnership with public and private companies. DRDFO labs were also involved in the development, including: DRDL, R&DE (Engrs), CVRDE, HEMRL and ARDE. The Rajendra or Battery Level Radar-III was developed by LRDE and manufactured at Bharat Electronics Limited (BEL). The contractors for Akash SAM system production are BEL for radar and electronic support systems; Tata Power and Larsen & Toubro for the launcher systems; Bharat Dynamics Limited (BDL) for missile systems. BDL is also the system integrator and nodal agency for Akash SAM production for the army.